UBS will press ahead with plans to relocate London staff to EU offices including Frankfurt, with the investment bank saying the lack of a Brexit transition deal will result in "significant changes" to its operations. The Swiss banking giant said it is expecting to merge its UK entity with its German-headquartered European bank ahead of the Brexit deadline of March 2019. This will mean moving staff closer to clients in their respective European cities and locating central risk management and support services in Frankfurt. 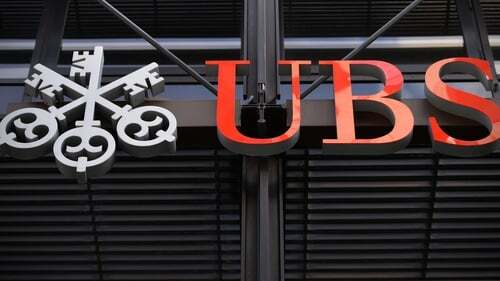 UBS said its plans would be put in motion "in the absence of adequate transition relief being agreed and passed into law by the United Kingdom and the European Union". "The nature of the UK's future relationship with the EU remains unclear," UBS said. "Any future limitations on providing financial services into the EU from our UK operations could require us to make potentially significant changes to our operations in the UK and the EU, and to our legal structure," the bank said. "We further anticipate that some staff would be relocated as a result," it added. While UBS said the exact number of staff and their specific roles would be "determined in due course" it is understood that less than 200 could be moved under current plans, with discussions over relocation set to take place in the coming months. The changes will mean shifting its European Economic Area (EEA) investment bank business from London to other EU offices, though its UK wealth management, asset management and non-EEA investment bank business will remain in Britain. The Swiss bank employs more than 5,000 people in London. "The timing and extent of the actions we take may vary considerably depending on regulatory requirements and the nature of any transition or successor agreements with the EU," UBS said. It marks the latest Brexit update by UBS, which said back in January that it would begin implementing its contingency plans in early 2018. City firms have been urgently calling on Brexit negotiators to strike a deal that would extend EU market access for financial services after Britain leaves the bloc, allowing firms to continue conducting business across the single market, while also pushing for a bespoke deal aimed at safeguarding the sector. Chancellor Philip Hammond delivered a speech earlier this week that made the case for preferential access for Britain's financial services industry to the EU single market. But hopes were dampened after European Council president Donald Tusk said Brussels was aiming for a free trade agreement that would scrap tariffs on goods, but provide limited access for services after Brexit. Without a deal, businesses are expected to flee to rival financial hubs including Dublin, Paris, Frankfurt and Luxembourg. EU lender Deutsche Bank is preparing to settle more of its transactions out of Frankfurt, and is likely to move hundreds of staff from London, while HSBC has said it is on course to move up to 1,000 jobs to France where it already has a full service universal bank after buying up Credit Commercial de France in 2002. JP Morgan, which currently has 16,000 staff in the UK, will ramp up operations at a number of its EU sites with plans to move up to 1,000 London front and back office roles. US peers Goldman Sachs and Morgan Stanley are also looking at spreading staff across a number of European cities after Brexit.